WHAT DOESN’T KILL HER — the cover! Heh, heh. That’s a funny header for this letter. The cover didn’t kill me, but waiting for it almost did. 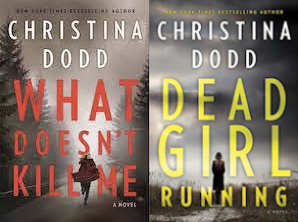 If you’ll recall, my publisher designed a WHAT DOESN’T KILL HER cover, (originally called WHAT DOESN’T KILL ME), then dumped it because the sales department said it looked too much like the first book in the series, DEAD GIRL RUNNING. I agreed. Here, you can see what we mean. But I’ve teased you long enough (you already peeked, didn’t you?) 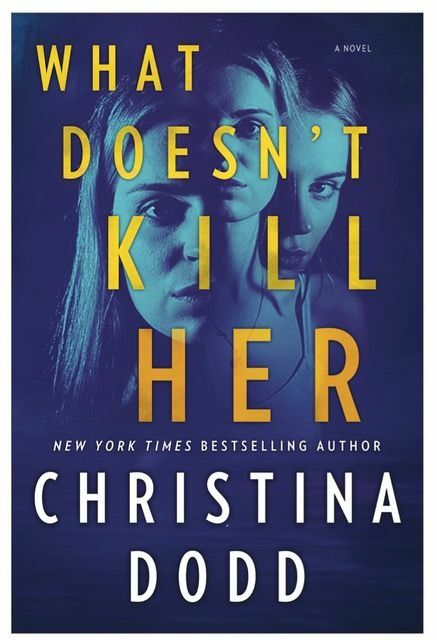 Here is the brand-new cover of WHAT DOESN’T KILL HER! What do you think? Does it give you an idea of the challenges Kellen Adams faces? Does it make you want to read the book? Because you’re on my mailing list, you got the first look at the WHAT DOESN’T KILL HER cover, but if you want to offer your opinion, soon I’ll be talking about it (of course!) on my social media (Instagram, Facebook, Twitter.) Or you can send a note back for me to read. Or if you haven’t been on my website lately, you can hop onto my website pop-up survey (current question—Book series: Like or Dislike?) and give me feedback. 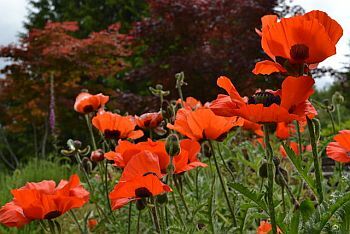 Want to include a friend in the news? Pass it on!